And by that I mean, I am a decent human being. I’m a decent father, a decent son, a decent husband, even a decent writer, but the thing is, I desire to be better. I can’t live with decent. I need more. I have always been this way. You could call it being ambitious. I would not, however, call it perfectionism. I am not a perfectionist. I simply want to be better than I am. Which is not to say I’m not proud of where I am. It is simply to say, I am not content with where I am. I am not happy. I am not satisfied. I desire to be better. I am not ashamed to say that I have a number of fears, a fear of rejection, a fear of failure, a fear of heights, a pesky and rather lingering fear of embarrassing or humiliating myself, particularly in front of strangers. But, as of late an overly irrational fear of mediocrity has grown to overtake all others. A fear of dying in the obscurity of being only so very average has become my greatest phobia, and thus, I desire to become better. Not so much for the recognition or accolades that come along with better, but more so for the sake of knowing that I did not settle with a mediocre version of myself. Better, for the sake of being better. I thirst for enhancement. Hunger for improvement. Thrive off development. I need it. So I will keep driving, keep going, keep grinding to become better. You can come with me, and with my writing I guess you can let me know. As better is all based on relativity, “Am I better today than I was yesterday?” if so, I am progressing, if not, then tomorrow is a double duty type of day. So let me know if you sense better, if it can be seen in my writing, then perhaps it is also reflected in other aspects of my human being. We can get better together if you would like, but I am also fine going forward alone. I can stop at best, but no sooner. I also have a fear of being stranded in open ocean, as well as a fear of anything that is of an unnaturally enormous size. So if I were to see something like a humpback whale from the deck of a small to medium-sized boat, I would die instantly. 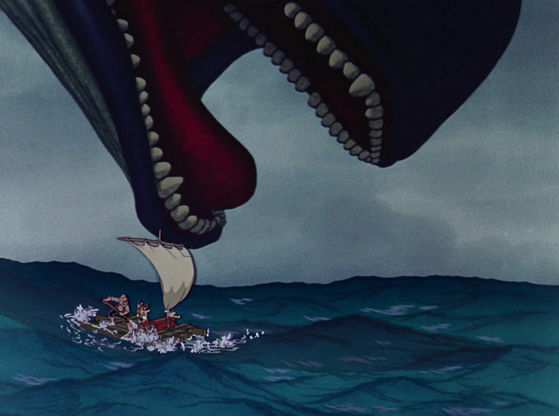 Not that dying instantly would matter all that much considering that seconds later the whale would capsize the boat and eat everyone on board in an uncharacteristic fit of rage and carnivorous violence anyway. That is, except for me, because I would already be dead, and thus spared from that particular horror. So, there’s that. Never settle. We are here to strive, to improve.